On September 11, 2001, 19 al-Qaeda-trained terrorists hijacked four U.S. commercial airliners. The hijackers crashed two of the jets into the World Trade Center towers in New York City and crashed the third jet into the Pentagon outside Washington, D.C. Passengers and crew battled the hijackers for control of the fourth jet, and it crashed into a field near Shanksville, Pennsylvania, short of reaching the hijackers' intended target in Washington, D.C. The attacks caused the subsequent collapse of the World Trade Center twin towers, damaged the Pentagon, and killed approximately 3,000 people. Included in the death toll were hundreds of firefighters and rescue personnel who responded to the crashes at the World Trade Center site and who were in the process of rescuing those inside when the buildings collapsed. Al-Qaeda (also known as al-Qaida), and its leader, Osama bin Laden (also spelled Usama Bin Ladin or Osama bin Ladin), subsequently claimed responsibility for the attacks. Al-Qaeda—operating out of Afghanistan under the protection of the fundamentalist Taliban regime—and allied Islamic extremist groups had publicly vowed a terrorist war against the U.S. and Western interests in an effort to establish pro-Islamist governments and fundamentalist Islamist social order throughout the world. Al-Qaeda also directed the 2000 attack on the USS Cole near the port of Aden, Yemen, and claimed responsibility for the bombings of U.S. embassies in Africa. The September 11, 2001 attacks were the most deadly international terrorist attack in history and the largest attack on United States territory since the Japanese attack on Pearl Harbor on December 7, 1941. 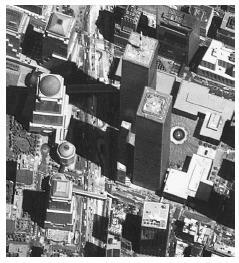 Satellite views of lower Manhattan before the September 11, 2001, terrorist attacks. hijacked planes, the hijackers used box cutter knives as weapons to overpower or kill crew and resisting passengers. The aircraft, all destined for long flights and heavy with jet fuel, exploded as powerful bombs upon impact. The hijacking of American Airlines flight 11. The terrorist action began when five terrorists hijacked American Airlines flight 11, a Boeing 767 aircraft carrying 92 people that departed Boston bound for Los Angeles at 8:00 A.M. The FBI subsequently identified the hijackers as Satam M.A. al-Suqami (most hijackers had multiple aliases), Waleed M. al-Shehri, Wail M. al-Shehri; Mohamed Atta, and Abdulaziz Alomari. The hijackers flew American Airlines flight 11 into the North Tower of the World Trade Center in New York City at 8:46 A.M. The hijacking of United Airlines flight 175. Five terrorists hijacked United Airlines flight 175, a Boeing 767 aircraft that departed Boston for Los Angeles at 8:14 A.M. with 65 people on board. The FBI subsequently identified the hijackers as Marwan al-Shehhi, Fayez Rashid Ahmed Hassan al-Qadi Banihammad, Ahmed Alghamdi, and Mohand al-Shehri. The hijackers piloted United Airlines flight 175 into the South Tower of the World Trade Center at 9:03 A.M. , 17 minutes after the crash of American Airlines flight 11 into the North Tower. 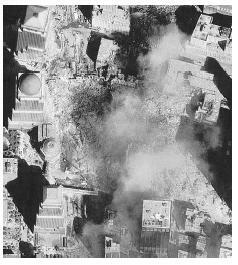 Satellite views of lower Manhattan after the September 11, 2001, terrorist attacks. 64 people that took off from Washington Dulles Airport bound for Los Angeles at 8:21 A.M. The FBI subsequently identified the hijackers as Khalid Almihdhar, Majed Moqed, Nawaf Alhazmi, Salem Alhazmi, and Hani Hanjour. The terrorists crashed the plane into the Pentagon at 9:43 A.M. The crash into the Pentagon—exactly 60 years to the day after construction began on the building—killed more than one hundred personnel working in the building's outer rings, as well as the people aboard the aircraft. The portion of the Pentagon damaged by the crash had recently been strengthened and remodeled to heighten physical security, and Pentagon officials credit those measures with saving many lives. 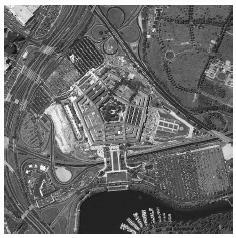 The Pentagon on September 12, 2001, as seen in a satellite image with damage visible from the previous day's terrorist attack in the upper right. Pittsburgh, Pennsylvania, killing everyone on board. Intelligence developed from subsequently captured al-Qaeda terrorists indicated that the terrorists planned to crash the plane into either the U.S. Capitol or White House. As of May, 2003, the NTSB (National Transportation Safety Board) continues to investigate the actual September 11, 2001 airline crashes associated with the terrorist attacks. National emergency responses. At approximately 9:30 A.M., U.S. President George W. Bush, who had been visiting a Florida elementary school, spoke briefly to reporters as the Secret Service whisked him away to the security of Air Force One. Bush, now aware that the crashes into the World Trade Center were deliberate, but speaking ten minutes before the crash into the Pentagon, pledged that United States would find and punish the parties responsible for crashing the hijacked aircraft into the World Trade Center towers. Minutes later, the crash into the Pentagon put official Washington into a heightened state of alert and lock-down. The U.S. Capitol, White House, State Department, Justice Department, and World Bank were evacuated. For the first time in aviation history the Federal Aviation Administration banned all aircraft flights in United States airspace. In a largely unheralded effort, by 12:15 P.M. the airspace over the continental United States was cleared of more than 4,500 commercial and private aircraft. Pilot and air traffic controllers managed to safely land all planes, many far from their intended destinations. The FAA ban did not reopen airspace until September 13, 2001. During a tense afternoon and for days afterwards, U.S. military deployed anti-aircraft and anti-missile batteries around New York and Washington. Five destroyers and two aircraft carriers deployed to sea from the Naval Air Station at Norfolk to monitor and protect the U.S. East Coast. Fighter and surveillance aircraft patrolled the skies over major U.S. cites. The collapse of the World Trade Center towers. On a typical workday, an estimated 50,000 people worked in the World Trade Center complex of six buildings. Built in the 1970s, the complex included 110 -story twin towers. Prior to September 11, 2001, the World Trade Center contained offices for more than 400 companies from more than 25 countries and hosted more than 125,000 visitors each day. Although the full details are not yet known, forensic analysis indicated that the high temperatures of the jet fuel burning in the World Trade Center towers weakened critical supporting beams. As emergency personnel raced into the building to complete the evacuation of those stranded by the fire and to begin the long climb to attack the fire on the upper floors, at 10:05 A.M. the South tower of the World Trade Center suddenly collapsed as the upper floors pancaked into lower floors. The tower collapsed nearly vertically into the deep subfloors and subterranean ground transit station. Above ground, a billowing cloud of pulverized concrete and dust blew through several blocks of lower Manhattan. A mushroom-like plume replaced the South tower in the New York skyline. The slowly clearing air revealed an above ground pile of twisted steel and pulverized wreckage. At 10:28 A.M., the North tower of the World Trade Center collapsed with all the violence of its twin. A third World Trade Center building (the 47-story "Building 7"), damaged by the falling towers, collapsed approximately seven hours later. Rescue efforts started immediately as surviving police, firefighters, engineers, construction workers, and other arriving emergency personnel began a determined search for colleagues and civilian survivors. Although intense rescue efforts continued for more than a week, the tremendous force of the collapsing buildings spared few of those trapped inside. The tremendous volume of falling material compacted into a tight and dense mass, providing few spaces that held the possibility of finding survivors. Death for thousands had been swift, and beyond a handful of survivors found in the first hours, no one survived the full fury of the collapse. Despite a 24-hour operation throughout the winter by large and dedicated crews, a full excavation of the site and forensic determinations of human remains would take more than half a year. The U.S. moves to full alert. Initially unaware of the extent or origin of the attack, following the attack on the Pentagon, the U.S. military was placed on full nuclear alert. In accordance with national security protocols and continuity of government measures, President Bush was taken by Air Force One to Barksdale Air Force Base in Louisiana and then to the headquarters of the U.S. Strategic Air Command at Offutt Air Force Base in Nebraska. The Secret Service did not determine that it was safe for the president to return to Washington for several hours, but President Bush reportedly asked to return to the White House as soon as possible. Arriving at 7:00 P.M., within an hour and a half the president addressed the nation and vowed to find and punish the perpetrators of the terrorist attacks. Bush subsequently activated 50,000 National Guard and Reserve members to help with rescue efforts and security. FEMA, EPA, and scores of federal law enforcement and investigative agencies sent disaster management teams and technical aid to the crash sites. The FBI dedicated 7,000 of its 11,000 Special Agents and thousands of FBI support personnel to the PENTTBOM investigation. "PENTTBOM" is short for Pentagon, Twin Towers Bombing. Investigators subsequently determined that the hijackers had been in the United States for periods ranging from a week to several years. Most entered with student or tourist visas and some of those visas had expired prior to September 11. One hijacker admitted to the U.S. to study English attended the school that admitted him. A GAO report issued in 2002 revealed that 13 of the hijackers involved in the September 11 incidents had not been interviewed by U.S. consular officials prior to the granting of visas. Hijackers Alshehri, Atta, Alomari, Shehhi, and Jarrah were all known to have pilot training. Some of the hijackers had taken pilot training in limited aspects of flight, including training in commercial jet simulators for take-off and flight, but not for landings. Mohamed Atta was identified as the terrorist group leader. The majority of the hijackers were Saudi nationals, Atta was an Egyptian national. In 2002 Zacarias Moussaoui, a 34-year-old French citizen of Moroccan origin, was charged with six counts of conspiracy and faced a possible death sentence for alleged involvement in the attacks on New York and Washington. Moussaoui, indicated as the "20th hijacker" by U.S. justice officials, was unable to participate in the mission because he was already under arrest. Moussaoui has denied involvement in the attacks, but admitted to being a member of the al-Qaeda network. The circumstances surrounding Moussaoui's arrest also sparked controversy and calls for reform with the FBI. An FBI internal investigation following the September 11 terrorist attacks revealed that Special Agent Colleen Rowley of the Minneapolis office had requested a warrant to conduct electronic surveillance and a computer search against Moussaoui well before the September 11 attacks. Rowley was suspicious of Moussaoui's activities at a local flight school that reported that Moussaoui told instructors that he was only interested in take-off and in-flight operations, but did not care to learn how to land a plane. Moussaoui was arrested for immigration violations prior to the September 11 terrorist attacks, but supervisors denied Rowley's request for a search warrant. Subsequent examination of Moussaoui's computer records revealed phone numbers used by other September 11th hijackers. International reactions. Citizens of 90 countries perished in the terrorist attacks. There was an outpouring of sympathy from much of the world. French President Jacques Chirac was the first foreign leader to visit the World Trade Center site to express French solidarity with the American people. Le Monde, the leading French newspaper, ran a sympathetic headline proclaiming solidarity with Americans in their mourning. The United Kingdom lost 67 citizens in the attack, and U.K. Prime Minister Tony Blair pledged full support for the forming U.S. war on terrorism. Not all reactions were positive; in some Arab cities there were jubilant street celebrations. Unfounded rumors and disinformation swept the Internet that Jewish citizens had mysteriously been forewarned of the attack. In fact, Israeli citizens were among the doomed hijacked passengers and other Israelis died in the World Trade Center collapses. A best-selling book in France speciously claimed that the crash into the Pentagon was a hoax. In the wake of the September 11 attacks, the Bush administration, with the majority of Congress supporting, effectively declared war on terrorism. Casting aside diplomatic formalities, Bush reverted to the language and ethics of the American frontier when he asserted that bin Laden was wanted "dead or alive" and that, "if he can not be brought to American justice, American justice will find him." The Old West analogies confounded many of America's European allies, but revealed a deep and fundamental shift in American foreign policy. The emerging Bush doctrine asserted that in the coming war on terrorism, "states were either for us or against us" and that "states that harbor or aid terrorists are as guilty as the terrorists themselves." Attorney General John Ashcroft and FBI Director Robert S. Mueller, III restructured the Federal Bureau of Investigation's efforts toward counterterrorism. Congress passed and Bush signed into law the Patriot Act into law, giving the FBI and CIA broader investigatory powers and allowing them to share confidential information about suspected terrorists. With Congressional support, Administration officials created an Office of Homeland Security and put into motion the subsequent creation of the Department of Homeland Security. The September 11 attacks changed many aspects of American life and governmental policies. Almost every government agency reacted to the attack, changing or implementing emergency protocols and policies directed toward increased security. For example, the FAA enacted tougher airport security measures, required background checks for all airport employees with access to secure areas, and published new rules prohibiting passengers from carrying-on knives and other potential weapons. Airline and airport security reform was a key aspect of international anti-terrorist efforts. The U.S. dramatically increased air marshal protections, swelling the police force from approximately 35 officers pre-September 11 to more than a thousand officers. In addition, prior to departure of every international flight bound for the United States, APIS (Advance Passenger Information System) data is now checked against the Interagency IBIS (Interagency Border Inspection System) database. The Computer Assisted Passenger Prescreening System (CAPPS), used selectively used before September 11, came into regular use at American airports. Security screeners were place under the control of the newly created Transportation Security Administration (TSA) and airports were required to use explosive-detection devices in the inspection of passengers and baggage. Intelligence analysts asserted that a lack of human intelligence and over-reliance on technological spying contributed to failures to develop information that might have specifically predicted the attacks. In the aftermath of the attacks, the CIA and other agencies placed a renewed emphasis on the gathering of intelligence from human sources. Halberstam, David. New York September 11. New York: PowerHouse Books, 2001. Langewiesche, William. American Ground: Unbuilding the World Trade Center. North Point Press, 2002. "Responses to ASR's Survey on Aviation Security Post-Sept. 11." Airport Security Report 9, no. 19 (September 11, 2002): 1. Thomas, Evan. "The Road to September 11." Newsweek. 138, no. 14 (October 1, 2001): 38–49. "Nuclear Security—Before and after September 11." U.S. Nuclear Regulatory Commission. September 23, 2002. < http://www.nrc.gov/what-we-do/safeguards/response-911.html > (December 11, 2002). Federal Aviation Administration. "Fact Sheet: Chronology of Events on September 11, 2001" < http://www1.faa.gov/index.cfm/apa/1064/320D8B51-A894–4E4FAFA3B5A9 475A46D > (May 25, 2003). U.S. Department of State. International Information Programs. "September 11, 2001. Basic Facts" August 15,2002. < http://usinfo.state.gov/topical/pol/terror/020815basic.htm > (May 25, 2003). U.S. Department of State. "Patterns of Global Terrorism, 2001. < http://www.state.gov/s/ct/rls/pgtrpt/2001/html/10235.htm > (May 25, 2003). The White House. September 11, 2001. "Statement by the President in His Address to the Nation" < http://www.whitehouse.gov/news/releases/2001/09/20010911–16.html# > (May 25, 2003).